No matter what you think you know about Japan, nothing prepares you for the raw thrill of landing in a country that is so exotic, so refined, so modern and yet so steeped in tradition. Get your pulse racing in Tokyo then explore the serene and majestic countryside of Japan before taking the Bullet Train to the temples and gardens of Kyoto. With a mystery and allure hard to find in the modern world, a trip to Japan is an experience of something unique; a technologically advanced society but one with an extraordinary depth of culture that leaves its mark on every aspect of society, from Buddhist rituals at the local temple to the way a burger is served at McDonald’s. Nothing is as you expect. 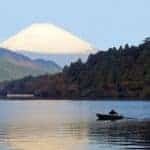 Whether you want to join an escorted group tour (maximum of 14 people) or allow us to tailor your own independent adventure, we offer the insider knowledge, passion, flexibility and experience to ensure you make the most of your stay in Japan. Our choice of hotels ranges from luxurious city centre skyscrapers to capsule hotels, great value tourist hotels to traditional ryoken and simple minshuku (Japanese B&Bs). We can even advise on a night or two in one of Japan’s unique “love hotels”. Our most popular option for independent travellers is the self-guided Golden Route. Highlights include Tokyo, the Hakone National Park, a stay in a Japanese hot spring inn and a trip on the bullet train to Kyoto. 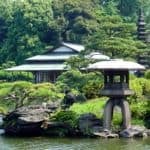 If time is short, our nine-night escorted Tokaido Trail group tour takes in Tokyo, Kyoto, Hakone and Kamakura while the popular 13-night Japan Unmasked tour gives a more in-depth glimpse of Japan. On this tour, you’ll stay in Nagano’s most important temple, see snow monkeys soaking in hot spring pools, visit Hiroshima, the market town of Takayama, Yokohama and Matsumoto Castle. 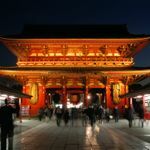 Click here for more about InsideJapan Tours, part of InsideAsia Tours, and our special offers for 101 Holidays users. Find the best time to visit Japan.